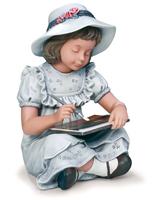 Below are some care tips and advice on how to keep your porcelain figurines clean and free from dust. 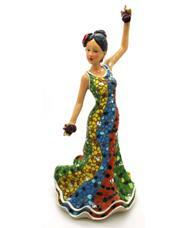 These recommendations will ensure that your figurines are always revered for their beauty and admired when displayed. When caring for porcelain figurines, the first consideration is their fragility. 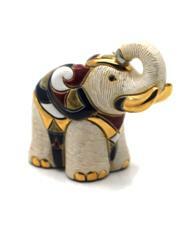 It is the delicacy and the attention to detail which makes these figurines so special and valuable. The details on these figurines are very fragile and when cleaning or dusting them, time and patience are crucial. Keeping your precious porcelain figurine collection safely inside a cabinet not only cuts down on the likelihood of damage, but it also minimizes their exposure to dust. If you are cleaning your fragile figurines, be sure to sit down at a table and clean. Don’t stand up, try to balance or hold the object in your hand, and clean the piece. This is a recipe for disaster. The quality of Porcelain is evident in its weight. Some are quite heavy and may be dropped or slip from your hand. The most important thing to remember is to use care when removing surface dust. We recommend to remove even the small amounts of dust from your Porcelain every week rather than to let it build up on your collectible. If you keep after the piece, the dirt and dust will not present a major issue. 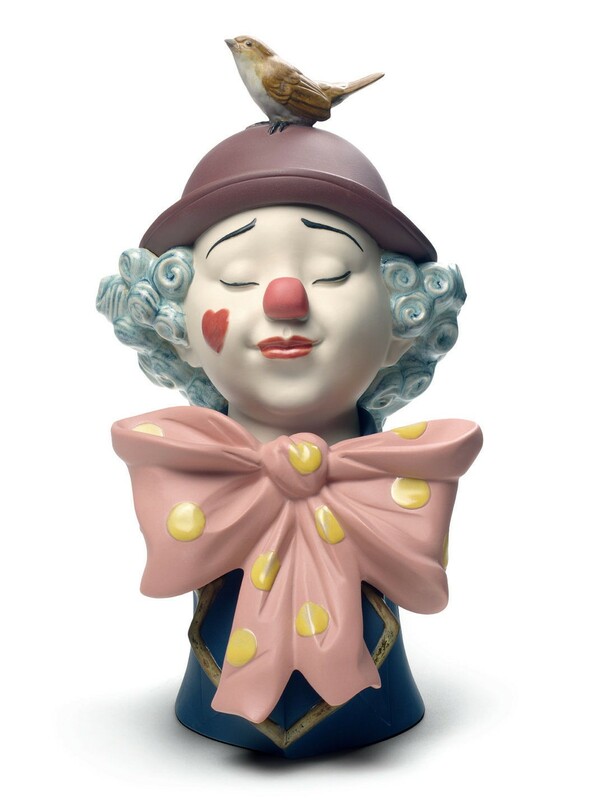 The best way to clean dust from your porcelain figurines is to use a hair blower or a small, soft-bristled artist's or basting brush. At times your porcelain figurine will require a more thorough cleaning and simply dusting with a brush will be insufficient to get it clean. When cleaning the item, place it on a soft towel or cloth. If you accidentally knock it over it will have a soft place to fall. The standard procedure used by many involves filling a bowl with warm water and a very mild dishwashing liquid. 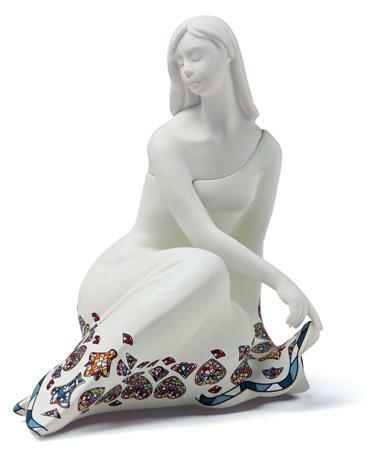 Dip a very soft cloth into the water and gently clean the porcelain figurine until it’s free of dirt. Always remember to use a lint free cloth. Never use any cleaning products that contain bleach or ammonia or abrasive components as these will damage your collectable. 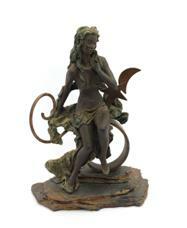 Once cleaned using a clean cloth and some water wipe the figurine free of soap to remove any remaining residue. Lastly, using a soft cloth completely dry your figurine and place it back in your collection. Try to avoid wiping with towels, which can snag flowers and other delicate parts. Don't immerse the figure in water! Aside from the possibility of dropping the item and breaking it in the sink, water will inevitably enter the hollow portions of the figurine through that tiny steam-escape hole in the base. This will result in mould forming on the inside of the figurine which will have a damaging effect. If you display your Porcelain figure in a curio cabinet or china closet, be sure to open the doors regularly and let some of the heat escape. Some glass display cabinets retain heat and this heat will damage your Porcelains and all of your collectibles for that matter. It’s a good idea to open display cases every month or so. When storing Porcelain figurines, be sure to use acid free, chemically inert storage papers and ample padding of white cotton cloth without any patterns, inks/dyes, or other decorations. Such dyes may bleed onto the figurine and the unglazed pieces can receive the dye ruining the piece permanently. Remember, bubble wrap is for transporting pieces and not for storing them. Bubble wrap will retain heat if it is used for storage. So, if you are moving pieces wrap them in bubble wrap for protection and once they arrive at their destination unwrap the piece from the bubble wrap. Slow and steady will keep these pieces in good condition for the long term. 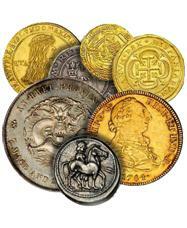 Remember, these are valuable and beautiful works of art.